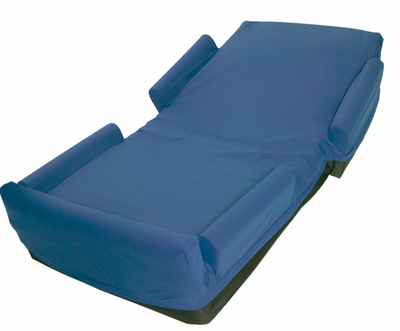 This True Low Air Loss Hospital Mattress provides all of the benefits of the standard model healing up to stage 4 bed sores. This low air loss system effective wicks away moisture to keep the patient cool and dry preventing skin break down. The 4" raiser air bolsters to reduce risk of patient falls and entrapment.